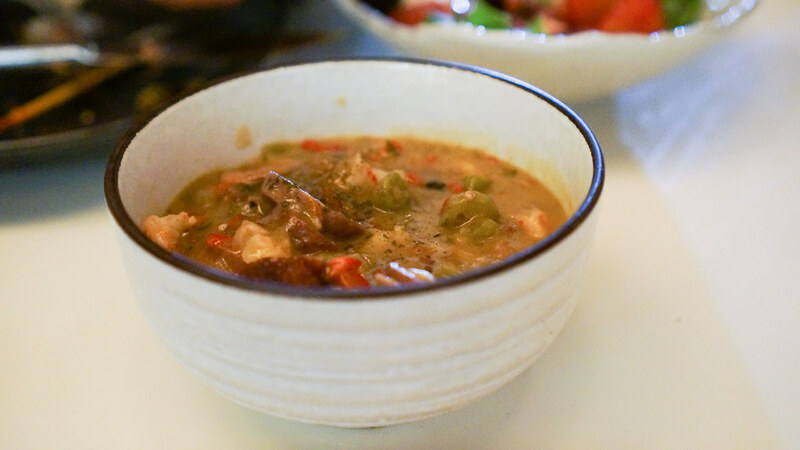 I've not yet written about Pidgin, in Vancouver, but it was one of the best meals we've had all year - a testament to the notion that "fusion" cuisine is back from the dead, and that's not necessarily a bad thing. 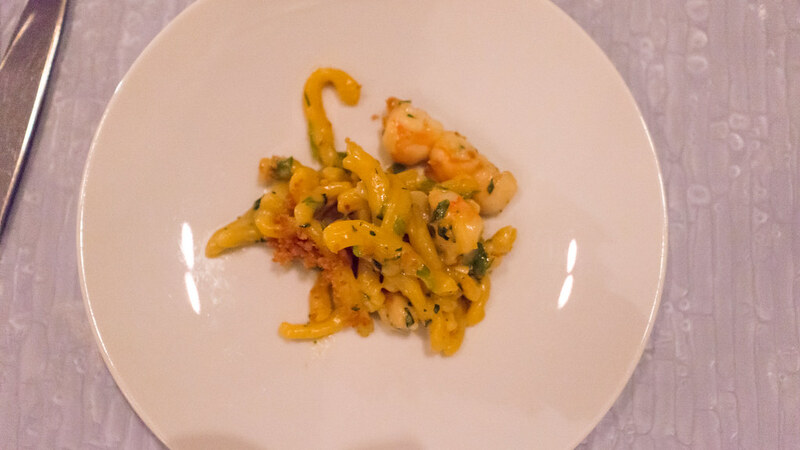 This dish - "Dan Dan" Kohlrabi - is a great example. 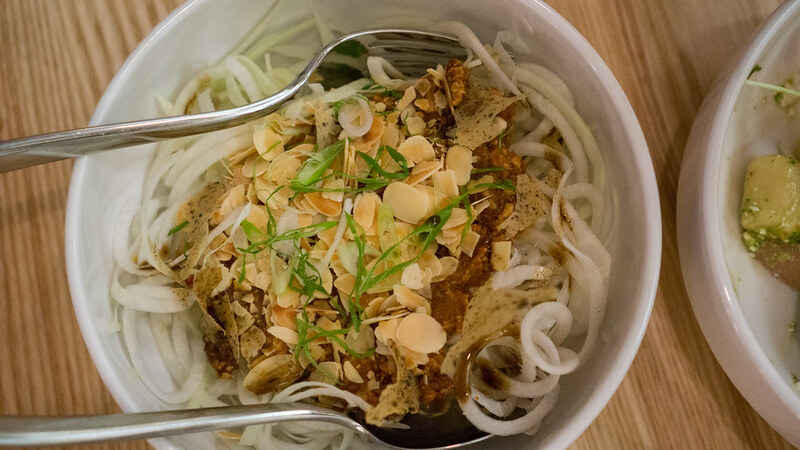 With the classic Sichuan noodle dish, Dan Dan Mien, as a starting point, virtually every component gets reinvented. In place of the noodles, long strands of kohlrabi. In place of the ground pork and sesame paste, a rich sauce of tofu and miso, with a sprinkle of slivered almonds and scallions. 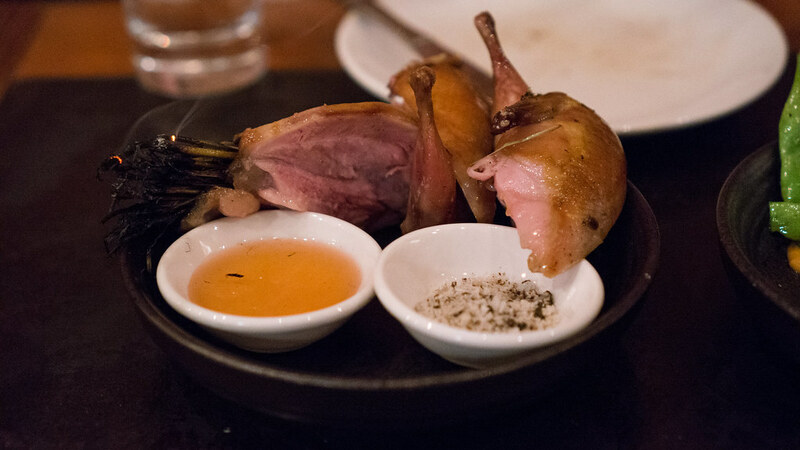 A smart, surprising and exciting dish, like just about everything we tried at Pidgin. 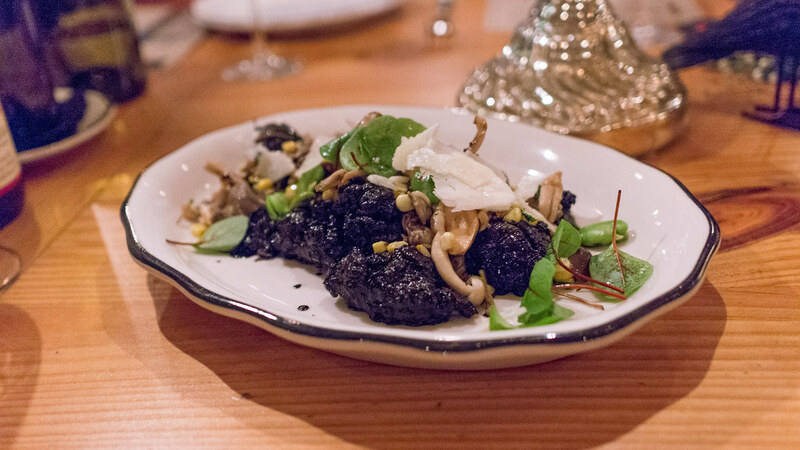 Another great meal I've not yet written about was at Bar Sajor, Chef Matthew Dillon's latest venture in Seattle. 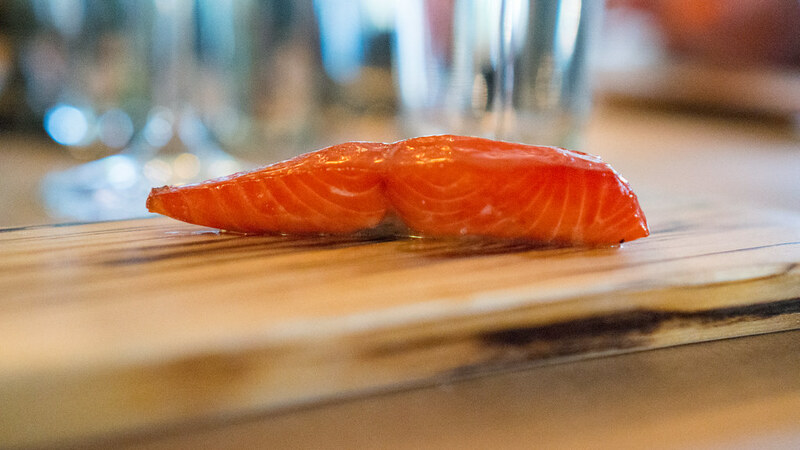 Simple, honest, focused cooking, almost all of it done over open fire or in a wood-burning hearth. 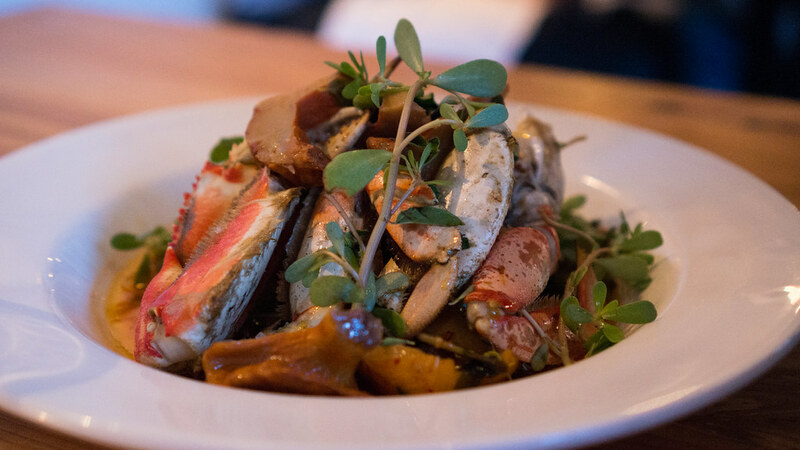 There was a lot we liked, but I particularly enjoyed this Dungeness Crab, cooked in the fireplace, served with nothing more than some plump lobster mushrooms braised in garlic, smashed lemon cucumbers, and a scatter of purslane. 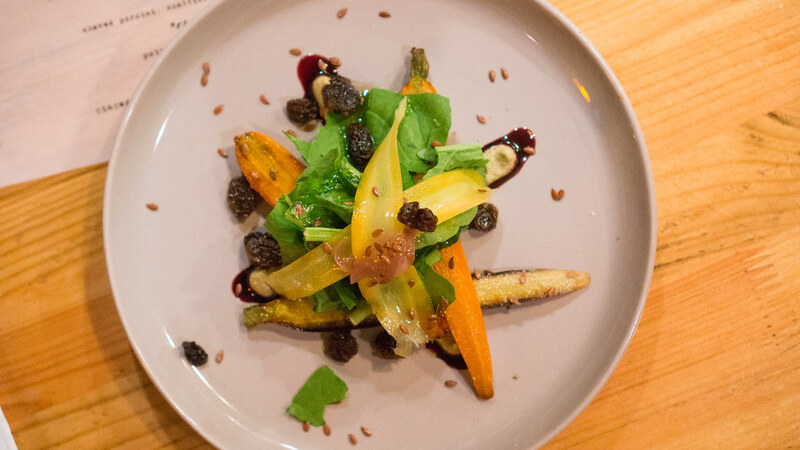 I make regular stops at Harry's Pizzeria for their pizzas - but one of the best things they do is the series of visiting chef "pop-up" dinners that Michael Schwartz has orchestrated. Over the past couple years, he has brought some of the top chefs from around the country in to Miami to cook with him and his crew. 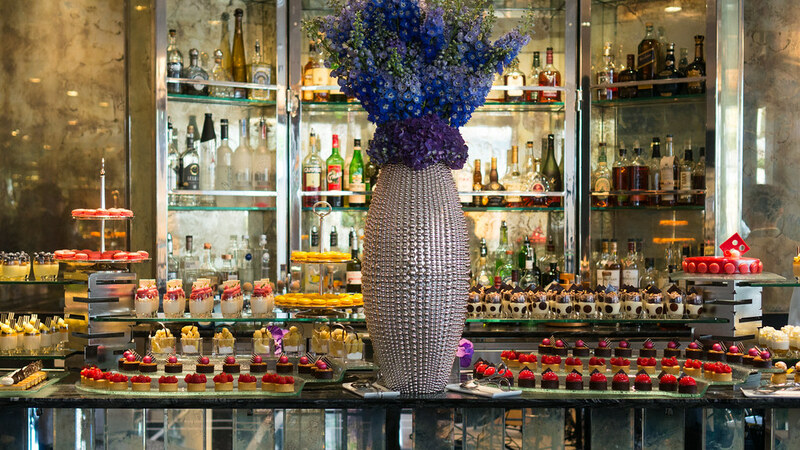 Service is casual and family style, wine is poured freely, and the food is usually great. 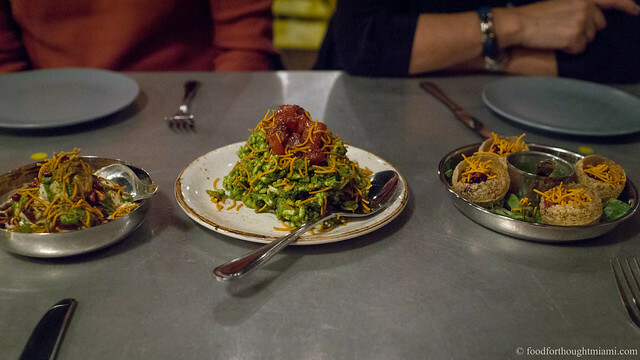 I was crushed when I had a short business trip to Philadelphia earlier this year and couldn't make time to get into Michael Solomonov's Israeli-inspired Zahav. I was thrilled when Schwartz brought him in for a dinner. 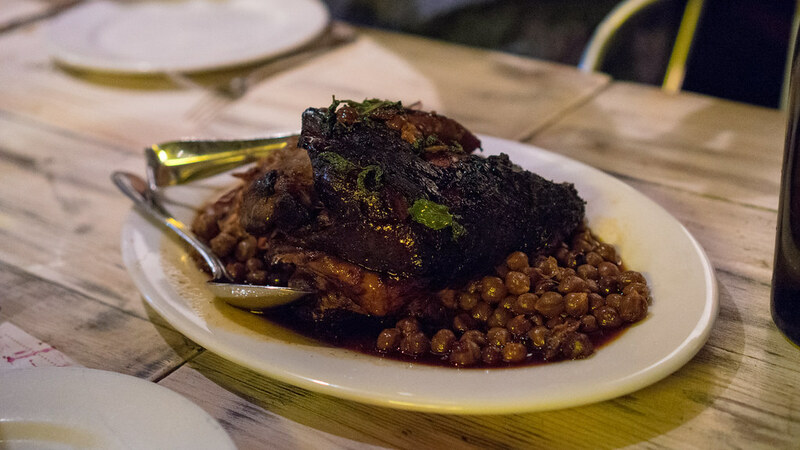 The highlight was Solomonov's braised lamb shoulder, shiny with pomegranate molasses and served over tender chickpeas with a scatter of fresh mint. 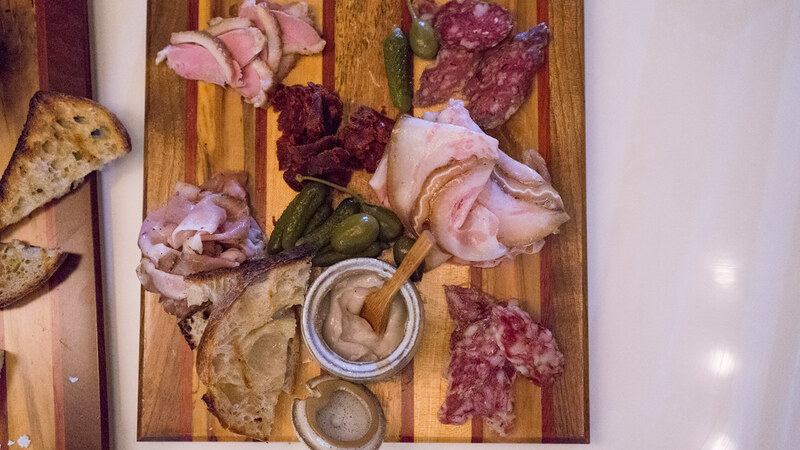 I regret only getting to one of Josh Marcus' "Kulinary Therapy" dinners at his "faux deli" in Surfside. The one I did make was a collaboration with local artist LEBO, a/k/a David LeBatard, who offered to do some artistic plating if Josh kept the meal vegan. It maybe wasn't the most artistic of the plates, but my favorite dish of the night were these carrots, some halved and roasted, some thinly slivered, paired with an avocado-pistachio purée, raisins, arugula, flax seeds and a bit of pickled onion. I admire Josh's willingness to experiment, to push himself, and to play, and look forward to seeing what's to come when the deli opens up for dinner a few nights a week. "Not the first, but the best!" our waiter said of the Oysters Rockefeller. I wouldn't argue. 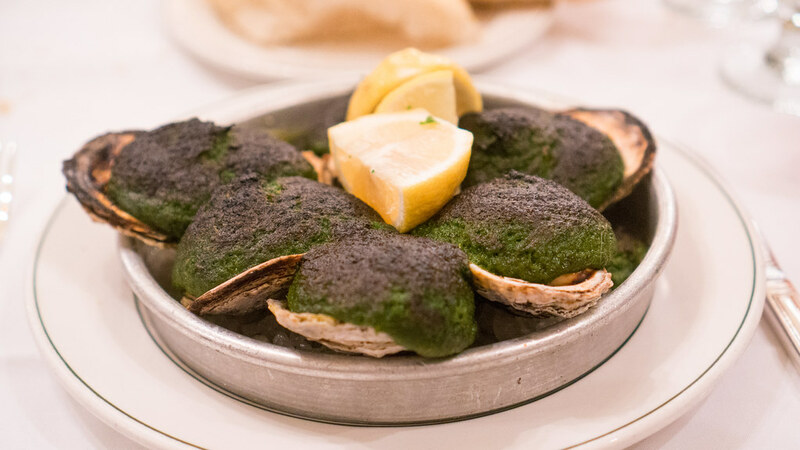 These were delightful, the oysters warmed through but not killed, the topping like a fine emerald cloud of spinach and absinthe (and about 20 other ingredients, according to our waiter, among which I suspect that fennel and leek figure prominently). I fell in love with the space at The Cypress Room immediately. I took a little longer to warm up to the food. 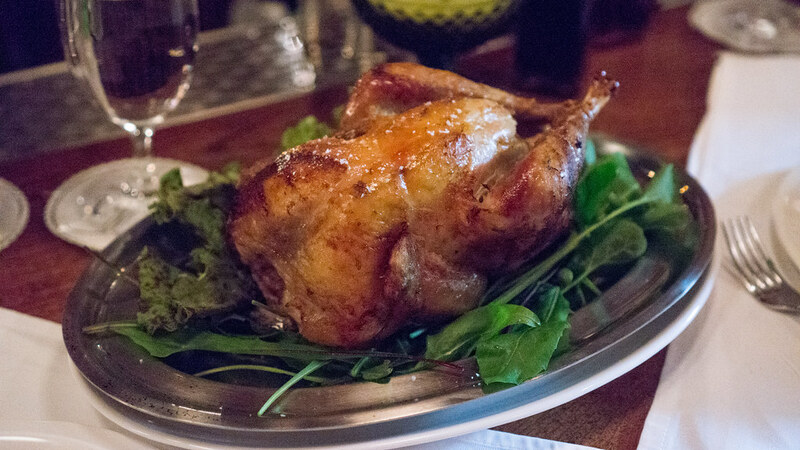 But my last couple of meals there have been excellent, highlighted by this rotisserie game hen, the bird presented whole, then carved in the kitchen, plated over some peppery arugula and soft herbs. 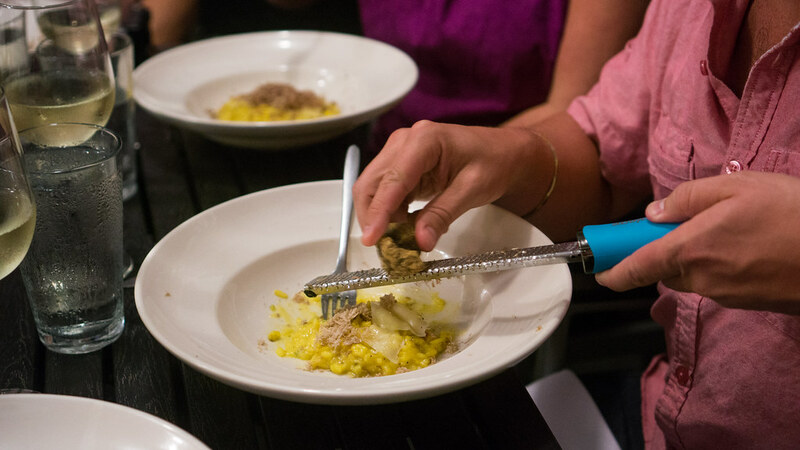 This classic was the highlight of Andrew Carmellini and Conor Hanlon's "Trufflepalooza" dinner at Miami's The Dutch in late November. 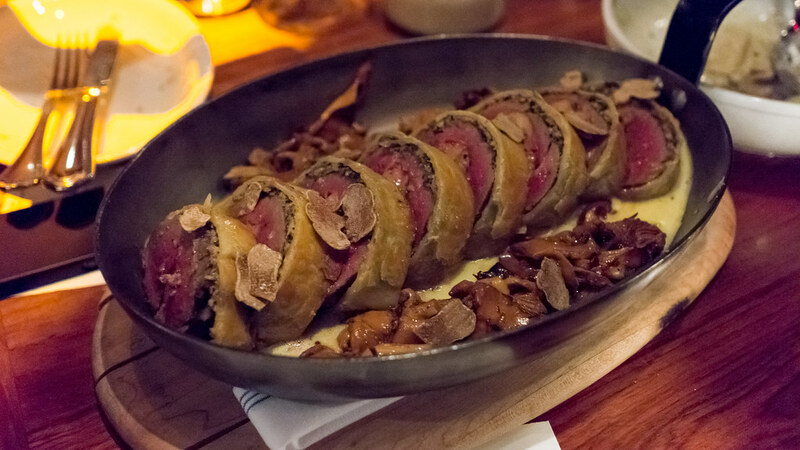 It was executed perfectly - flaky crust, rosy medium-rare beef tenderloin capped with a layer of truffled mushrooms, served with roasted chanterelles, a frothy truffle sabayon, a drizzle of foie jus, and a generous shaving of white truffles over the top. 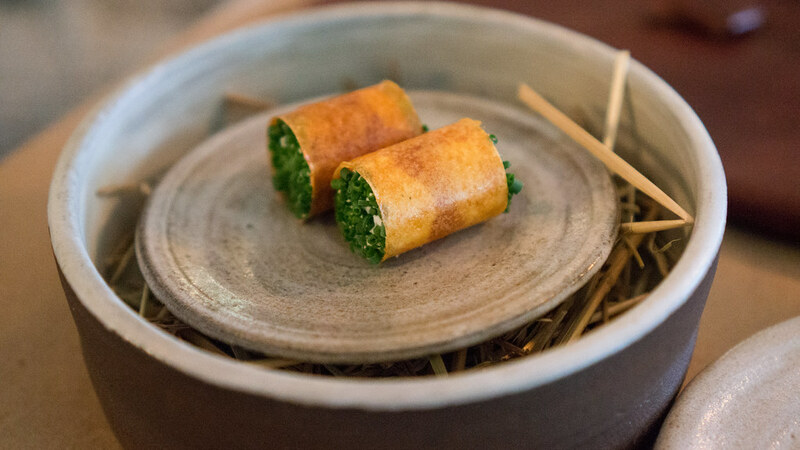 I've generally had good meals at The Dutch, but the special event dinners are truly special. Another outstanding experience I never got around to writing about, Jeremiah Bullfrog's P.I.G. #4 event at GAB Studios was the best yet: a team effort, with contributions from Aaron Brooks, Giorgio Rapicavoli, Brad Kilgore, Conor Hanlon, Antonio Bachour, Steve Santana from Broken Shaker, which also provided some cocktails, and beer from Gravity Brewlab. I'm not being glib when I say that every dish was great, but the standout among them for me was Brad Kilgore's deeply flavored pork raviolo in a lardo and matsutake broth, topped with delicate sea vegetables. 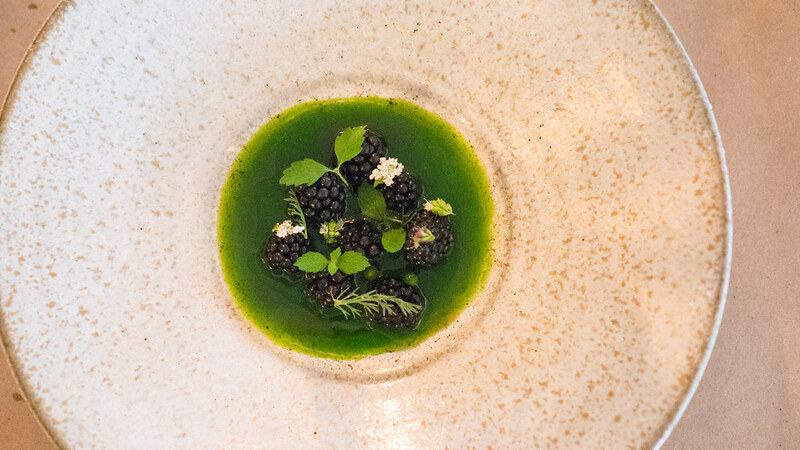 And to wrap up 2013, a dish from one of the most recent openings of the year: Richard Hales' BlackBrick. 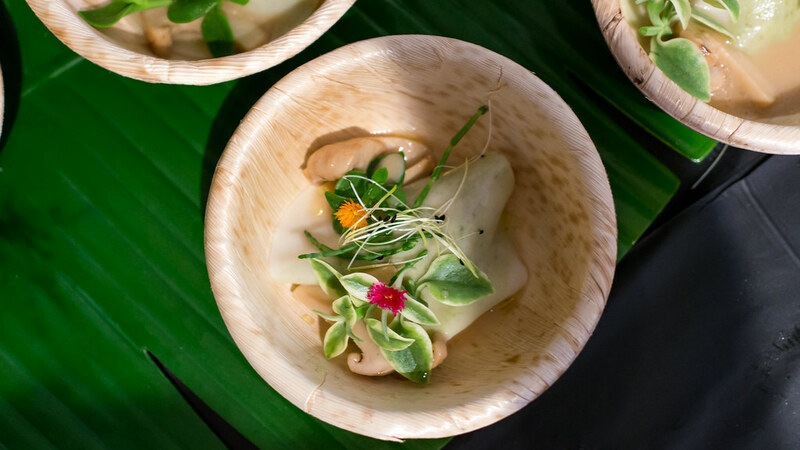 Miami suffers from a serious Chinese food deficit, and Hales - who opened Sakaya Kitchen four years ago - is aiming to fix that. BlackBrick's expanding, ambitious menu dabbles much in hearty Sichuan flavors, and though I've only started to make a dent in it, I'm very excited by what I've tried. 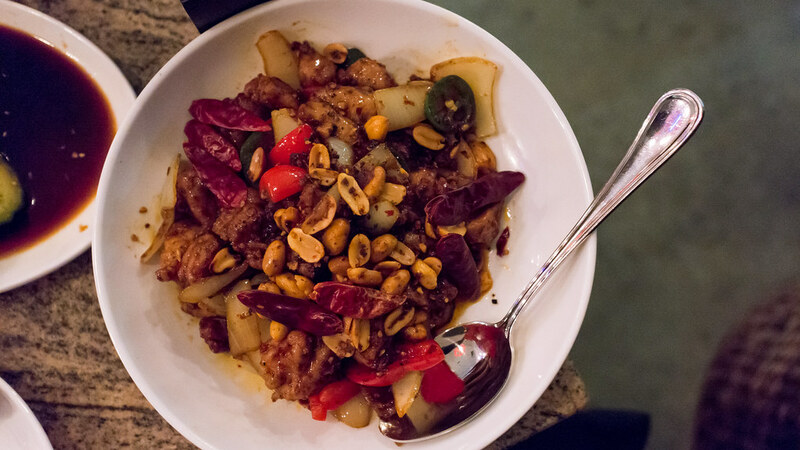 The Gung Bao Rabbit is a great example: crisp-edged nuggets of tender rabbit meat stir-fried with onions, peppers and a generous handful of roasted fresh chilies, topped with crunchy spicy peanuts and Sichuan pepper. 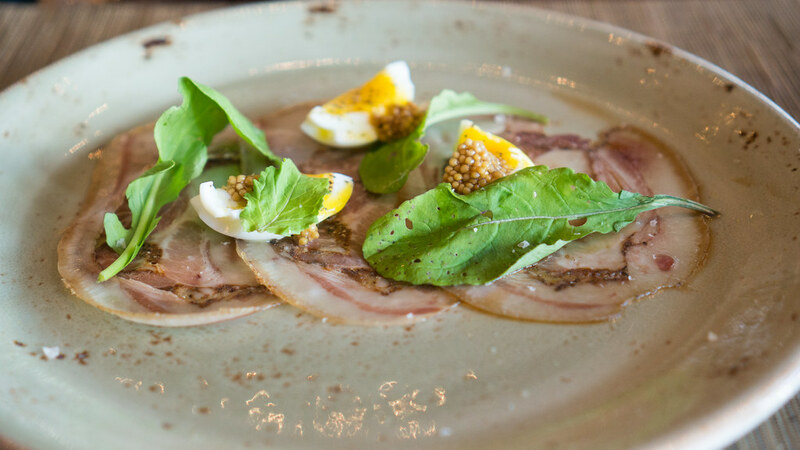 Despite the small sample size, BlackBrick is my favorite new restaurant of the year. I've said it the past couple years but it always bears repeating: thanks to everyone who made 2013 such an enjoyable year - all the chefs, line cooks, waitstaff, sommeliers, bartenders and busboys, all the farmers, fishermen and foragers, all the winemakers, brewers and distillers, all the guinea pigs who supported our Cobaya dining experiments, and all the great people I've had the good fortune to share meals with, both at the table and vicariously through reviews, blogs, tweets and pictures. As my grandfather used to wish us each year: always better, never worse. Great posts. That new camera worth every keystroke. Obviously the guy shaving the truffle knows what he's doing.